The bard does a little bit of everything; cast spells, heal, fight with a sword. He also brings a unique skills set and two special abilities to the table. He has all of the skills of a rogue and a wizard, with a broad range of knowledge. He also has a chance to know anything (represented by his bardic knowledge ability). Finally he can create some enchantment like effects using the power of his performance. 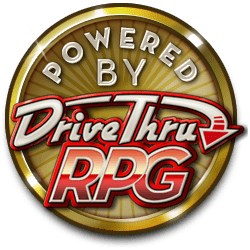 Here you will find a plethora of options for giving your bard that little bit of extra focus. From combat worthy bards to bards that are rogues to scholars with a creative flair you can make them all here. 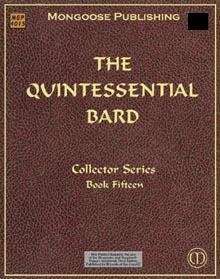 The Quintessential Bard offers players a comprehensive guide to playing characters of this class that will prove to be invaluable for characters of any level from 1st to 20th. This title was added to our catalog on December 20, 2004.